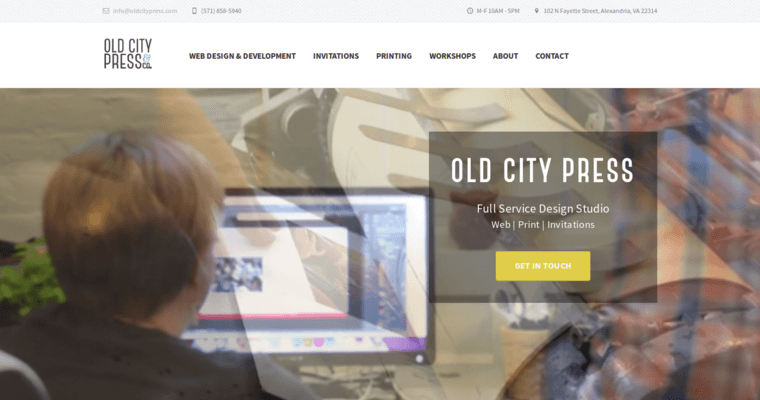 Old City Press is a small design business based in Alexandria, Virginia. 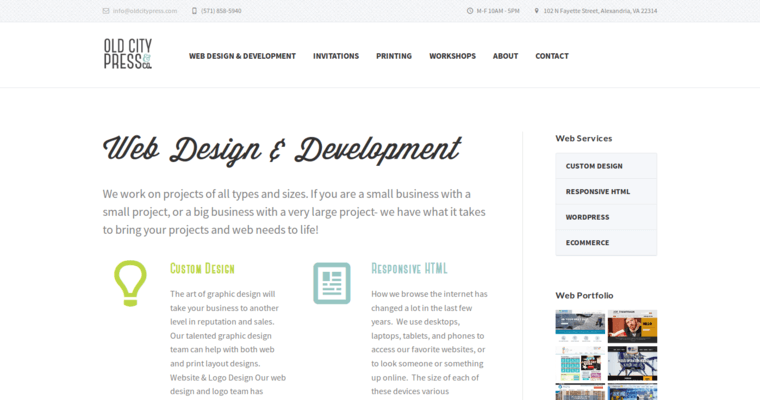 They design websites, do letterpress printing, create invitation cards and stationary and provide many other services. They are a small group of highly creative people who understand both traditional and digital design. They are willing to work with their clients to create just about any type of digital or print design. They sell stationary out of their shop in Alexandria and do their design work in-house. They also run workshops on letterpress design and other topics. 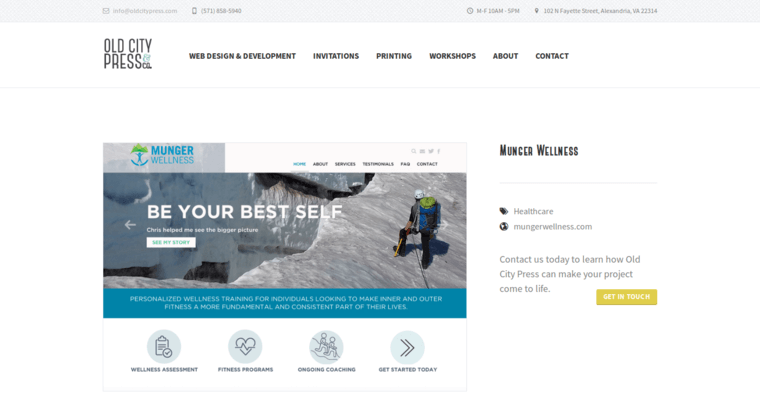 They are passionate about all things related to design and have a blog on their website where they write about topics like custom vs. printing design and how to do the prep work to create a successful website. The company has a number of vintage 1950 presses at their shop to create their print business cards, invitations, stationary and more.